Rejected Bitcoin ETFs are Still Pending Commission Review, Renewed Hope - Coinfomania Coinfomania: Where blockchain and cryptos live. The US Security Exchanges Commission (SEC) on Wednesday, August 22 announced that it has disapproved of a proposed rule change that would have allowed investors to trade nine different Bitcoin Exchange Traded Funds (ETFs) on various exchanges. Coinfomania previously reported that the disapproved bitcoin ETFs include a pair of requests from Proshares, five from Direxion, also for listing on NYSE Arca and two proposals from GraniteShares, for listing on CBOE. This sad news, coupled with reports of a new and strict regulatory framework for cryptocurrencies and ICOs in China, left the crypto markets on red earlier today after short-term gains from the previous trading day. But as usual, corrections soon followed. With so much sorry saga about the approval of a bitcoin ETF by the SEC, some experts in the industry have concluded that there are very slim chances for the approval of a BTC ETF this year. However, a new report has revealed that there is still some hope of a reversal on the sad decision for Bitcoin enthusiasts. SEC commission Hector Pierce, who has been famous for lending her support to cryptocurrencies, confirmed in a tweet that the number of the rejected ETFs have stayed pending a second review by the Commission. According to a letter from the SEC, addressed to Eugene Schlanger, Senior Counsel of the NYSE Group, the Commission will review the disapproval order, but the order is still valid until the SEC revokes it. 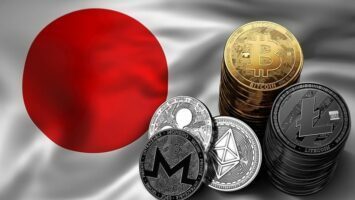 Although this report from the Commission does not in any way imply that the decision will be reversed, it has, to a large extent, put a smile on the faces of crypto enthusiasts. Also, recall that Coinfomania reported two weeks ago that the SEC’s final decision of the Winklevoss twins Bitcoin ETF proposal had been scheduled for September 30, 2018. These events have made members of the crypto community remain optimistic that a bitcoin ETF could happen this year. Do you think one of these BTC ETF applications would be approved? 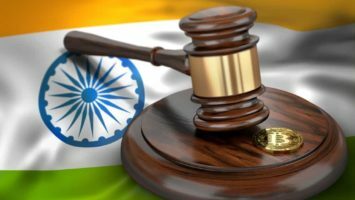 Is India On The Verge of Reversing the Ban Against Cryptocurrencies in 2019? Mandy Williams is a freelance writer and a crypto fanatic. She has over three years of writing experience in different niches, ranging from dating to tech, and has a number of published articles in different publications. Mandy is on a mission to help spread the good news about the blockchain and cryptocurrency industry. She holds a degree in education and currently pursuing a career in marketing. Mandy’s favorite people in life are her team members!